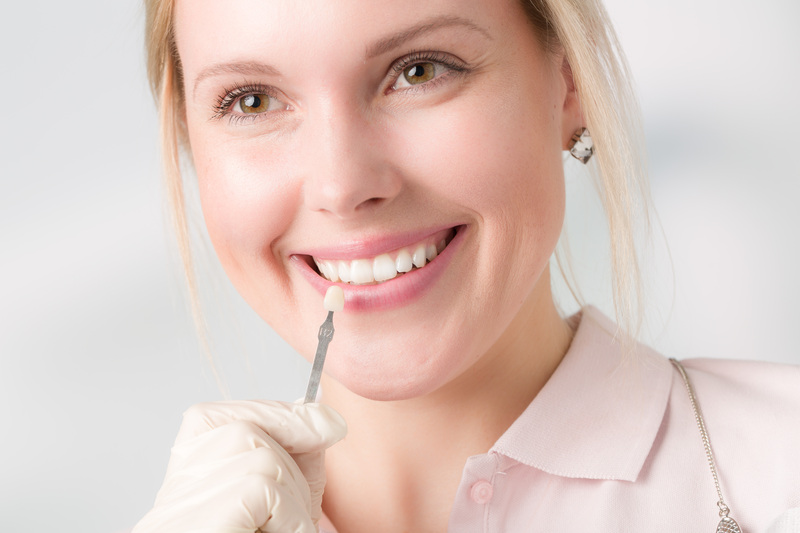 Few of us are born with perfect teeth and many turn to cosmetic dentistry to correct moderate flaws. Veneers are very thin pieces of durable, tooth shaped porcelain that are custom made (for shape and color) by a professional dental laboratory. They are bonded onto the front of teeth to create a beautiful and attractive smile. Our experienced dentist, Dr. Shepherd Frenchman, has extensive training with veneers and offers several types of elite veneer services to residents of the greater Bradenton area. We develop your treatment plan with excellent results as our top priority. Having an appealing smile can allow you to speak and laugh openly. It contributes to a good first impression and boosts confidence overall. If you find yourself hiding your smile because of mild misalignment, cracked, misshapen, or intrinsically stained teeth, veneers from Bayshore Gardens Aesthetic Dentistry can help. At Bayshore Gardens Family & Cosmetic Dentistry, we offer a choice of traditional porcelain veneers and no prep Lumineers. Veneers are permanent and, if you desire, we can also whiten your unaffected teeth for a uniformly bright and beautiful smile. Traditional Porcelain Veneers: These are thin, shell-like pieces of porcelain that are crafted from a precise impression of your teeth. They are applied to the front of each tooth to cover any flaws and blend in with the rest of your smile. Before the application, Dr. Frenchman will modify your tooth to provide a better hold and optimize the overall look of your new teeth. Lumineers®: This option requires less preparation or none at all and is an excellent option for those with undersized teeth. While Lumineers are thinner than porcelain, because there is little if any scaling down of the natural tooth, they are not recommended for teeth that appear bulky. Like traditional veneers, lumineers can last 20 years or more, and leave you with a smile you can be proud of. If you are uncomfortable with your smile, an investment in veneers can be just the thing to raise your self-esteem and meet the world on your terms. When you choose to correct dental flaws with veneers at Bayshore Gardens Family & Cosmetic Dentistry, you will find that we are dedicated to enhancing and restoring your smile, while keeping your overall well-being our top priority. For cosmetic service, we offer CareCredit financing and accept all major credit cards. Call us today for more information on the choices of veneers we offer.